NEW: SCROLL DOWN FOR LATEST SAVINGS OFFERS & DISCOUNT CODES ON TOURS! 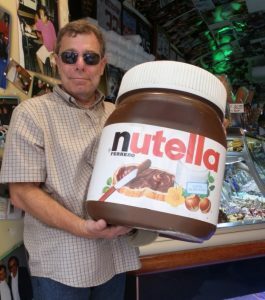 My name is Jesse Slome and I’m sweet on traveling (as you can see from my recent visit to Sorrento Italy). Over the years I have traveled on my own, arranged my own multi-country trips and taken package tours using a number of tour companies. 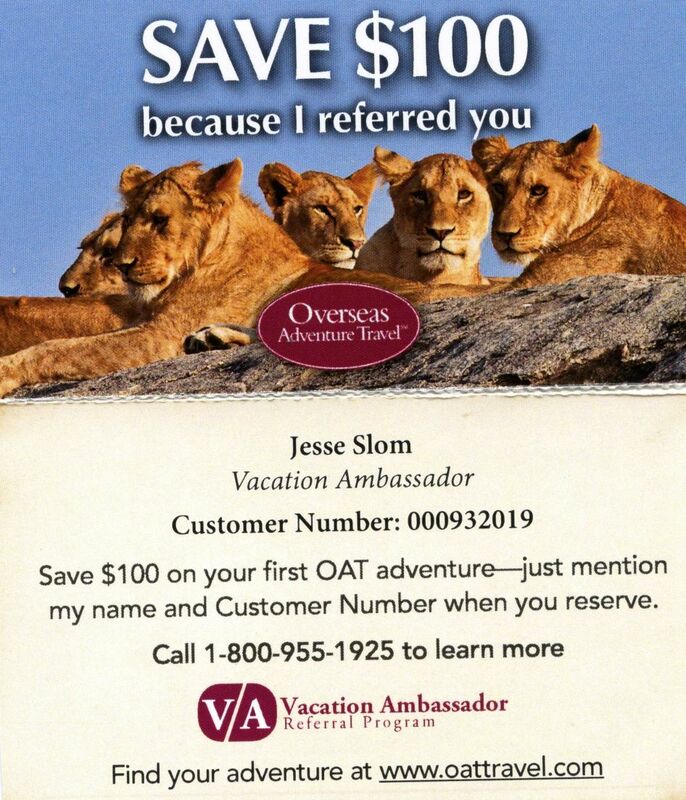 One (Overseas Adventure Travel) has become my favorite and I’m proud to recommend them. I don’t work for Overseas Adventure Travel or their parent company (Grand Circle Travel). WHEN YOU BOOK YOUR FIRST TRIP OR CRUISE WITH EITHER COMPANY, YOU CAN SAVE $100-PER-PERSON. Keep reading. Both companies rely on happy travelers like me to refer new people (like you). I have referred friends and family. And, here I am using technology to help spread the word. You used the same technology to look for reviews and ways to save (smart move)! WHAT DO I GET? When you make your first reservation using my name and Customer Number, I receive a credit towards a future trip. The credit is only applied after you complete your trip. I just get one (1) credit, one time for each first time traveler. The credit doesn’t add anything to your cost and there’s no small print. After your trip, you can refer people and YOU GET THE CREDIT (I only get the one). WHAT DO YOU GET? You get an added savings OFF THE LOWEST AVAILABLE PRICE. The tour companies do not promote the special discount for first time travelers so you must mention it when making your reservation. SIMPLY SAY, “I was referred by Jesse Slome, Customer Number 932019”. It’s just that simple … and just that appreciated. Latest codes / savings links reported in the OAT 2019 catalog received January 1, 2019. Lower prices should also be reflected on the website (but you should ask!) PLEASE also say you were referred by Jesse Slome 932019. You likely will not get the additional $100 but I would greatly appreciate the credit. Thank you. WHY DO I LIKE OVERSEAS ADVENTURE TRAVEL? Of the many tour companies I have used (Trafalgar, Globus, Brendan) here’s why I favor OAT. 1. Small group format: 16 people maximum is so much better than a big-bus tour with 40-to-50 people. 2. Really good tour guides: They really have a passion for their countries and really go out of their way to make your trip memorable. 3. Great travelers: They tend to be active, older (60s, 70s), educated (a lot of teachers) and they like to travel and explore. We have made and kept friends from many of our trips. 4. Good value. These are not the cheapest way to travel nor the most expensive. Hotels are good (some have been really good) and clean. Frankly, I couldn’t do everything they include for the price they charge … and they still have to pay staff and make money. 5. I like the balance of touristy stuff and getting to know the real people. We’ve stayed in the homes of Chinese farmers, had lunch in a house on a remote Gallapagos island where I taught the 9-year old girl how to play hang-man. These are the types of experiences that I find create the best memories when traveling. 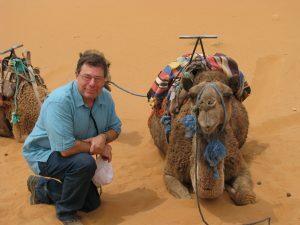 SO IF YOU ARE BOOKING A FIRST TOUR WITH OVERSEAS ADVENTURE TRAVEL OR GRAND CIRCLE TRAVEL … I hope you’ll say , “I was referred by Jesse Slome, Customer Number 932019”. Thanks and good travels. Note: I am working on adding the other pages. Thanks for your patience and understanding. LINKS TO MY PROFESSIONAL WORK I am director of several national insurance trade associations. Click here to visit the American Association for Long-Term Care Insurance, or the American Association for Medicare Supplement Insurance or the National Advisory Center for Short-Term Care Information.